Citizen Relations continued to be on its way up in 2018, benefitting from having the worldwide reach of a global agency while maintaining the hands-on approach and agility of a midsized agency. The agency’s October rebrand as Citizen was designed to capture its operating mantra — that consumers, long considered passive customers, should more accurately be communicated with as engaged citizenry; By putting those citizen consumers at the front of its work, Citizen, the agency, is focused on helping brands do just that with a modern mix of traditional earned communications along with data analytics, influencer, experiential and performance marketing at international scale. The concept is apparently working. In 2018, Citizen’s fee income rose to $34m from $30.7m in 2017, made possible by a workforce that has grown to 183 people. Having launched globally in 2012, Citizen today has 12 offices across the US, Canada, the UK and Singapore. Citizen started spinoff brand Colony in Canada in 2017; The agency’s acquisitions of Narrative Group and Toronto-based Blackchalk Marketing that same year have propelled Citizen’s stature as a leader in earned-first experiential marketing. 2018 was a good one for French/West/Vaughan, which, 21 years in, has grown to be among the Southeast’s largest PR agencies, independent or otherwise. FWV recorded its 22nd consecutive year of year-over-year growth in 2018, recording annual fee billings of $29.2, a 16% increase over 2017 results. The past 12 months saw F/W/V, a 113-person operation, onboarding big-name clients, ranging from Volvo, LS Tractor and indoor golf simulator SkyTrak to the non-profit CityPak, American College of Veterinary Medicine and North Carolina Sweet Potato Commission. The firm capped off the year closing on its 50% acquisition of AMP3 PR, the New York-based fashion and lifestyle boutique agency that is being anchored onto F/W/V. All this on the heels of big change in 2017, when F/W/V brought Fetching Communications, the country’s oldest and largest pet and veterinary-focused PR firm, into the company fold — and required F/W/V to step up around streamlining processes and procedures and educating employees. Then again, F/V/W has never been an agency that has sat still. Its two-decade history is steeped in such strategic acquisitions, and the kind of innovation that often ensues (F/W/V adopted an integrated marketing model a decade-plus before it was in vogue). So navigating the new and different is, in many ways, business as usual for the Raleigh, NC-based independent firm. In 1998, the agency was the first in the country to create a licensing practice. 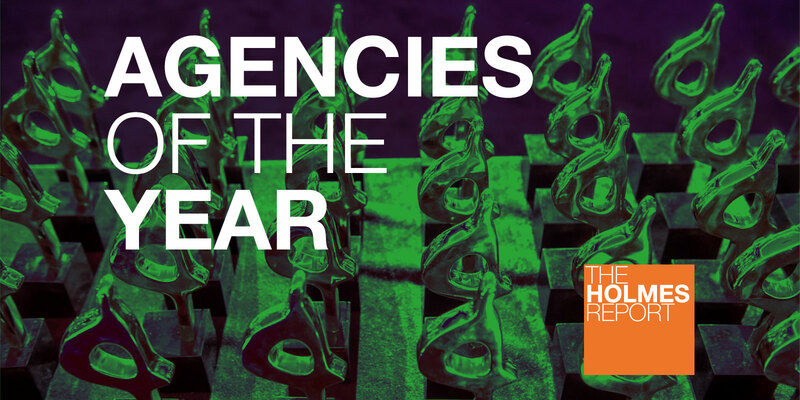 Today, F/W/V has more than a dozen specialized practice areas, a Hispanic marketing subsidiary and a long-form film and television production division — assets that reaped the impressive campaigns rolled out in 2018 for Teen Cancer America, the Louisiana Film & Entertainment Association, Rise Against Hunger and Volvo among others. After 30 years in business, Hunter Public Relations in 2018 solidified its stature as a modern PR agency — one that encompasses the breath of services that go beyond traditional media relations. The firm’s leaders deemed the change so profound — and so critical to communicate — that in March of this year they dropped the reference to public relations from the agency’s name altogether, so that, today, it simply goes by the name Hunter. All of which speaks to the expansion of the agency, one of the industry’s largest food and beverage players, as well as a shift in the kind of work it is taking on. In the last year, for instance, Hunter became lead strategic and creative agency for four of its bigger clients: Tabasco, Pompeian, Cans Get You Cooking (a program of the Can Manufacturers Institute) and the University of Delaware. Also in 2018, the MDC Partners-owned firm grew 7%, lifting its fee income to $24m. Hunter capped off the year by hiring Heddy Parker DeMaria, who had been with Pinnacle Foods, as its first chief insights officer. There are other contenders for the (non-existent) title 'PR Acquisition of the Century' on our Agency of the Year list this year, but few have a stronger case than M Booth. It’s certainly possible that M Booth might have made the jump from highly-creative traditional public relations to analytics-driven digital and social content creation shop without the support of its technology-focused parent Next Fifteen, but there can be little question that the 2009 deal accelerated the process. It also gave the parent company access to founder Margi Booth’s not inconsiderable talent at the group level (with Ketchum veteran Dale Bornstein taking the reins in a succession that was not entirely seamless but is now paying dividends). And of course, M Booth has grown considerably in the not-quite-a-decade since the acquisition. In 2009, it was an $11 million firm. It ended 2018 at almost four times that size ($40.2 million in fee income, up by 18% in 2018), maintaining and expanding its relationships with longstanding clients such as Wharton (40 years), American Express (15 years), Edrington (15 years), JCPenney (10 years), and adding a host of new clients, including Northwestern Mutual, Beiersdorf (for the Nivea, Aquaphor, and Eucerin brands), Lyft, Evolution Fresh, Qurate Retail Group, Scholastic, and Simply Business. But it’s not just about growth. M Booth has established itself as one of the most progressive midsize agencies in the world when it comes to integrated campaigns, building formidable resources in all the areas that forward-thinking firms are investing in. After bringing in Adriana Bevilaqua as chief creative officer at the beginning of 2015, the firm has expanded its creative department from two to 25—the firm is now the lead creative agency (across paid and owned as well as earned) for several clients. Social capabilities have expanded too: 35% of the firm’s work integrated traditional and social efforts, and a growing proportion is social only. And the data and analytics group tripled its billings last year, while informing almost everything the agency does. It has been another year of transition for MSL, with the three-year tenure of US chief executive Ron Guirguis coming to an end and former Marina Maher Communications chief integration officer Diana Littman coming in (in a new role that reports directly to Publicis Groupe CEO Arthur Sadoun) to both revive growth and elevate the stature of PR within the group. But if Littman faces a challenge restoring the MSL brand to its overall leadership position in the US, she was pleasantly surprised, she says, to discover the quality of creative work the agency was producing, particularly in the consumer space, which continues to account for 60% of the firm’s North American business and which grew last year (while overall revenue was down). It’s only three years, after all, since MSL was being celebrated for its role in the Always #LikeAGirl campaign, named by this publication as the world’s best PR campaign of 2015. MSL has continued to reinvigorate that effort, with its emoji-focused work two years ago and its campaign to end “period poverty” last year, led by P&G global client lead Rema Vasan. Other P&G brands include Bounty, Charmin, Nyquil, Pampers, Pepto-Bismol, Tampax, and Vicks, which earned MSL a SABRE nomination for the #nosickdays real-time influencer campaign. Other SABRE-nominated work includes the Purple Purse domestic abuse campaign for Allstate Foundation, and content creation for Leo Burnett, while the firm’s #StinkyBootyDuty creative for Pampers was one of the hits of Super Bowl LII and its integrated Day of the Dead campaign for Mexico has been increasing tourist numbers despite political tensions. The firm has also put a stake in the ground (though it’s certainly not alone in this) in influencer marketing, launching its MSL Fluency approach at SXSW, combining emotional intelligence and machine learning to identify the most appropriate influencers among a database of five million (segmented demographically and psychographically), manage and activate, measure (using real-time business metrics), and amplify (via integrated paid media) influencer campaigns. It even vets for follower fraud.